CalPro Construction & Painting, Inc. was originally founded in 1996 under the name Cal-Pro Painting, Inc. Since that time, the company has painted and restored more than 5,000 apartment/HOA units, 2,500 single-family homes, plus numerous residential living facilities, commercial buildings, churches and shopping centers. As the company has evolved and grown, we added “Construction” to our name to include the construction, siding and trim replacement services we now offer as part of the pre-paint process. To beautify, protect and add value to residential communities and businesses with precision, quality, professionalism and reliability. We will be innovative and responsive to changing environmental concerns and will be the best place to work, attracting only the most skilled tradesman in the industry. Our stress-free process will produce superior results that exceed our customer’s expectations while ensuring their projects run smoothly and easily. We will maintain long-term relationships built on trust and friendly, reliable service long after the job is done. To be the leading Northern California reconstruction and painting company by providing safe, high quality, customer-centric services to HOAs, townhome communities, retirement communities, and commercial properties. Tim got his start in 1993, working as a student painter at UC Davis. Three years later he struck out on his own, founding Cal-Pro Painting, Inc. (later CalPro Construction & Painting, Inc.) to provide fast, high-quality painting and construction work for property owners, managers and residents, including HOAs, commercial buildings and residential properties. More than two decades later, CalPro’s success is still based on Tim’s original principles: convenience, professionalism, quality, reliability, clear communication, and honesty. 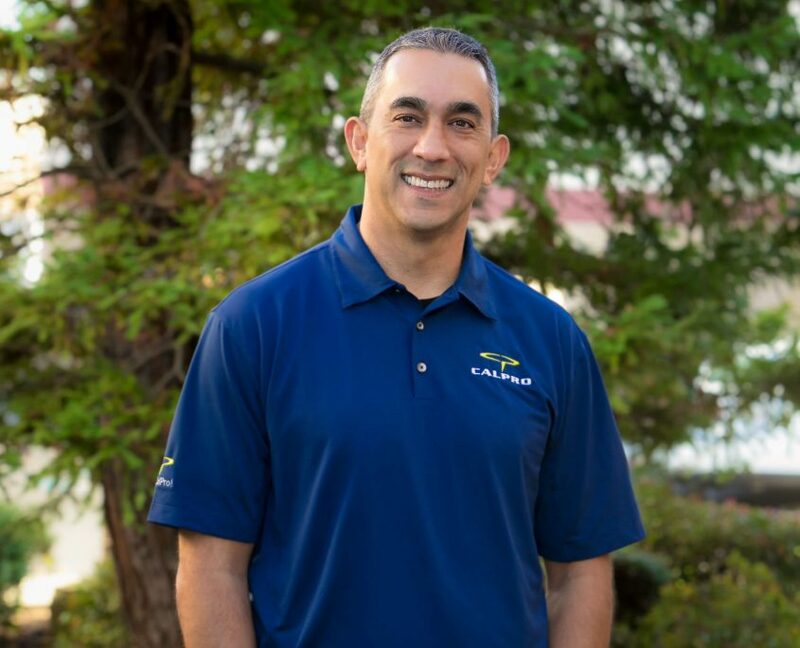 Ramon Pacas joined the CalPro team in April, 2018 to run operations including estimating, client relations, and business development for all Bay Area projects. He ensures that production meets CalPro’s strict quality standards, while keeping his team accountable to staying on time and on budget. 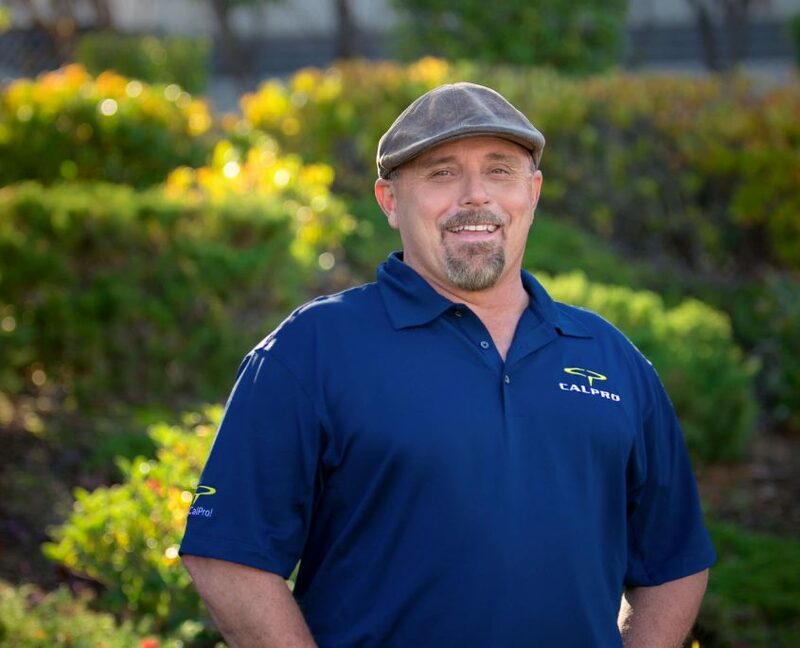 Ramon brings 14 years of prior experience from Kelly Moore Paints where he handled a $3 Million outside sales territory specializing in industrial coatings for HOA and commercial property managers. He is certified in SSPC (Society for Protective Coatings), and is an expert paint specification writer. His extensive industry experience and relationships help him address the unique needs of property manager’s, ensuring painting is performed under optimal conditions, and his clients have the proper preparation and coatings for the long term benefit of their property. Ramon is active in the property and association management community serving as a member of CACM, ECHO, BOMA, and CAI. In his free time, he enjoys his wife and 3 children, golf, stand-up comedy, concerts and wine tasting in the local region. Kevin joined CalPro as a painter in April of 2002, and was quickly promoted to supervisor. His diverse background includes graphic art and design studies at Butte College, electric motor repair, retail sales, and property management. 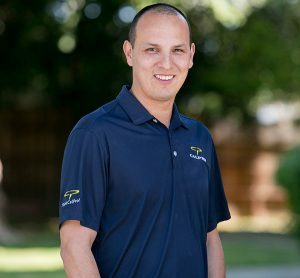 Kevin’s personal experience and understanding of the needs and challenges faced by property managers led to his promotion to CalPro’s Business Development and Project Manager in 2009. In his role, Kevin plans and coordinates all aspects of the construction process. He oversees the entire project, managing the schedule and budget while ensuring that strict quality standards are met. Kevin also assists clients with color selection, hosts informative “Lunch and Learn” sessions, and assists with the development of CalPro’s marketing. In his spare time he enjoys golf and photography.